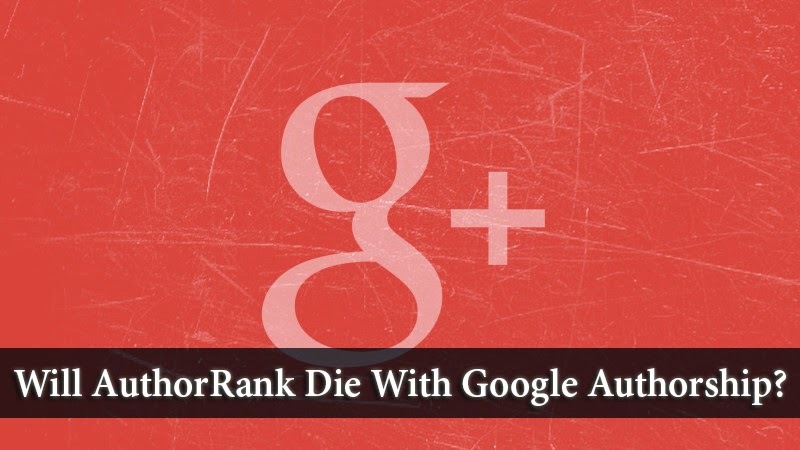 Did Google Kill AuthorRank With Authorship? In our last post, we talked about how Google has killed Authorship from search results once and for all. Up until last month, this was an important of SEO and it helped reputable authors get more traction on the search engine. But Google's decision to remove author images a month ago, and Authorship itself more recently took webmasters by surprise. So what do these changes mean for authors? Does this mean the end of AuthorRank? Keep in mind that when author images were removed, we didn't think Google would go as far as to remove Authorship entirely. And yet, here we are. Authorship was Google’s way to allow the authors of content to identify themselves for display purposes. Google extended from this original idea to link it tightly with Google+, as a step to create a Google-controlled system of identifying authors and managing identities. Those making use of Authorship were rewarded by more clicks because of author names and images. Now, the bylines and everything else related to the Authorship program are gone. It’s dead. Schmidt was just speculating and not describing anything. Google also talked several times last year of making use of Author Rank as a way to identify subject experts and somehow boost them in the search results. Google's Amit Singhal said that AuthorRank still wasn't being used, but Google's head of web spam team gave a caveat of where Author Rank was used: for the “In-depth articles” section, when it sometimes appears, of Google’s search results. Can there be AuthorRank Without Authorship? Now that Google Authorship is dead, how can Google keep using AuthorRank (in whatever small way it does)? How will Google associate content with authors? According to Google, dropping Google Authorship shouldn't have an impact on how the In-depth articles section works. Google also said that the dropping of Google Authorship won’t impact its other efforts to explore how authors might get rewarded. So how is this possible when Google is choosing to ignore authorship markup? Google has other ways to determine who it believes to be the author of a story. In particular, Google is likely to look for visible bylines that often appear on news stories. These existed before Google Authorship, and they aren't going away. This also means that if you’re really concerned that more Author Rank use is likely to come, think about bylines. That’s looking to be the chief alternative way to signal who is the author of a story, now that Google has abandoned its formal system.